The ValueJet 2628TD employs 2 heads (180 nozzles x 8 lines) for true 1440dpi output resolution at high print speeds. 8 channel piezo print head technology helps make the images stand out and look sharp to even the most discerning viewers. 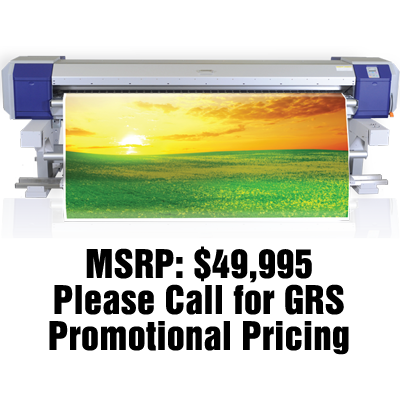 Mutoh’s patented intelligent interweave printing technology (i²) is standard on the entire ValueJet line. i² allows for increased print speeds and virtually eliminates banding, creating exceptional image quality. Owners can enjoy the flexibility of being able to print from either ink cartridges or a bulk ink system. With our new print heads you can print at a blazing 447 sq/ft/hr. And with the dual head set up, you can run two types of ink simultaneously, CMYK x 2, or eight colors.